XTmotion Web Tends > web development > What Cheer Are You Adding To Your Website For The Festive Season? What Cheer Are You Adding To Your Website For The Festive Season? Why not update your website using Christmas colours or themes, or just add a festive message. 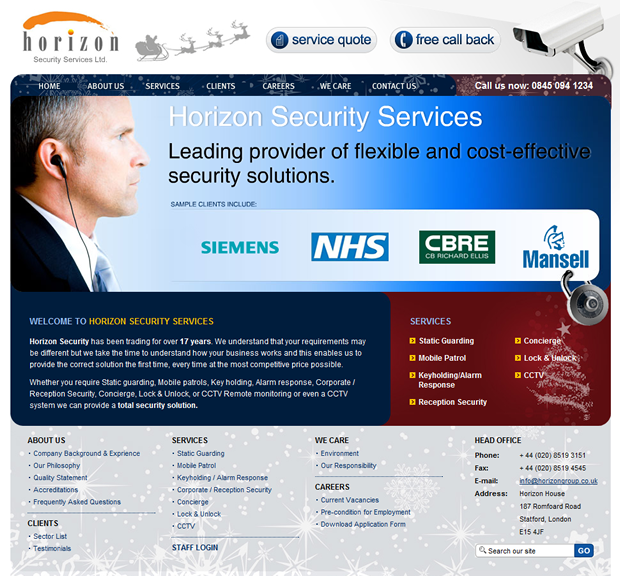 We have just added some festive spirit to the Horizon-Security website while still maintaining a professional presence.